A Concert Hall is a very special reverb, because it is one of the few based on a room (or even a building) that was built specifically to enhance the sound of a musical performance. 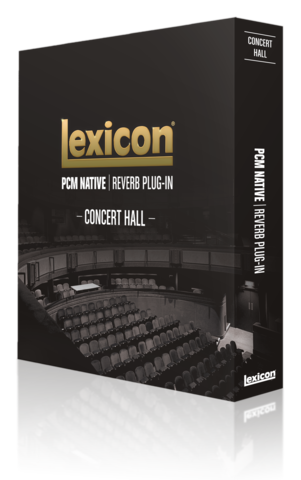 Lexicon first mastered the 3-demensional aspect of these magnificent structures almost 40 years ago and the Native Concert Hall is the pinnacle of that lineage. A hall is a comparatively large space with wall-to-wall distances that are typically several tens of meters. They are the principal venue for classical ensembles, but have proven to be useful for all types of music. The Lexicon® Hall algorithm provides an exceptional reproduction of these large, wide, panoramically wonderful spaces. 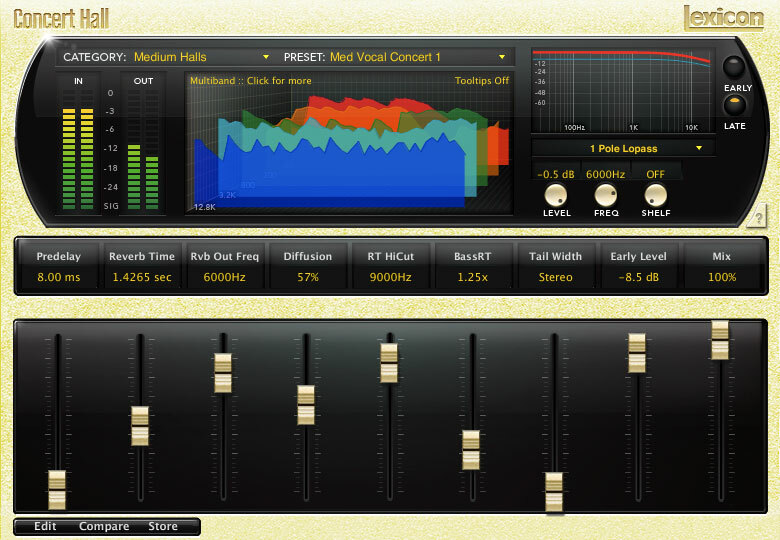 The Concert Hall, with its noticeable modulation (causing strong pitch effects at higher settings) and a reverb tail with a life all its own is well suited for contemporary music applications, rather than orchestral or classical ensembles.